Repo started the conversation Revealing asymmetric IED factories ect.. I am looking to reveal asymmetric installations such as IED factories, Recruitment HQs, ect. I tried using ALIVE_fnc_OPCOMToggleInstallations, however this isnt showing what I want to see. Repo posted in air support for transport helli..
Repo started the conversation Blacklisting a vehicle in asymmetric mode..
Repo posted in Finding if a particular profiled unit is alive. Repo started the conversation Making a non synchronized group be controlled by ai commander . 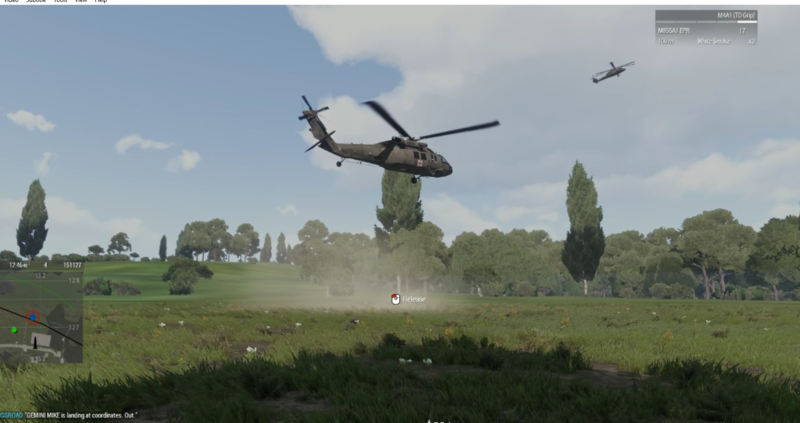 Repo started the conversation Helicopter logistics spawning when disabled..
Repo started the conversation A few ALiVE issues..
Repo posted in Server persistence issues. @marceldev89 Updating ALiVE server did not fix the problem. @marceldev89 It did seem that way yes. It initiates the save, then gives up and goes back to being stubborn.